For the mid-range smartphone lovers, this latest smartphone from Vivo might interest you. It is called Vivo Y93, launched today in India, with a 6.22-inch Halo Full View display. This latest android smartphone is powered by the MediaTek Helio P22 Processor and 4,030Mah battery capacity for longer entertainment and standby. Vivo Y93 comes with some interesting features seen in Vivo Y95 that was launched few days back. In fact, Y93 on a closer view has the body of Y95. The new smartphone comes with fingerprint scanner at the back, 8 mega pixel front shooter- lower than the 20MP camera that Y95 has in the front. The rear features 13 Mega Pixel shooter and 2MP AI dual camera setup. 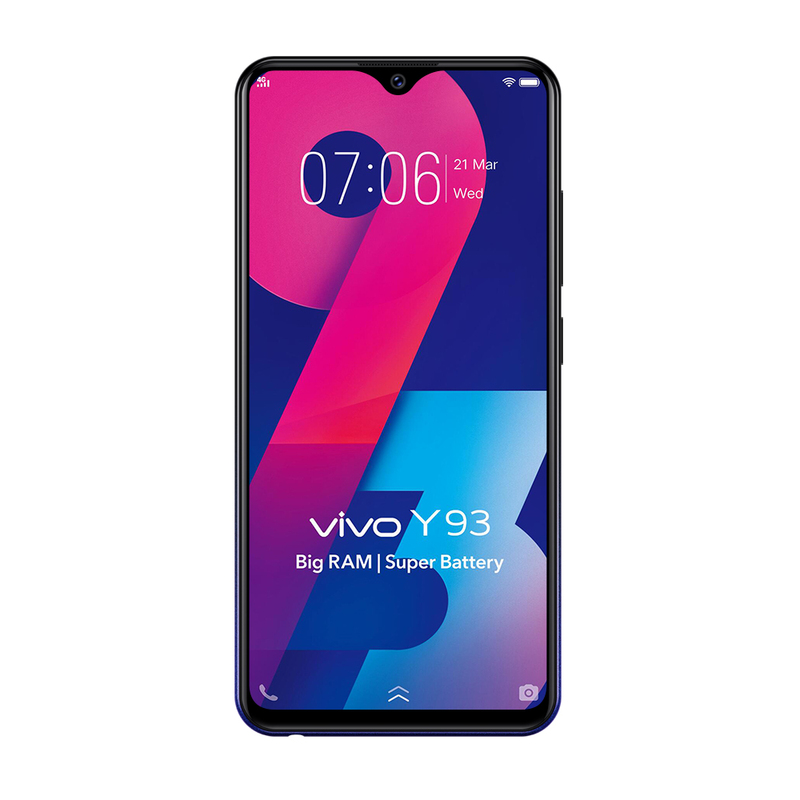 Vivo Y93 hosts 4GB RAM, with 32GB internal storage and runs on Android 8.1 Oreo. It also comes with FunTouch OS 4.5 on top. The cameras support HDR, Face Beauty, Slow-Motion, Time-Lapse, Live Photos, Portrait mode, Palm capture and the rest. This smartphone also supports Dual 4G, VoLTE, Smart Split 3.0 and Jovi Smart Scene. Vivo Y93 is simply a beauty to behold and will be available in two colors – Starry Night, Nebula Purple. Though it’s not yet on sale at the moment, but report gathered suggests that it is expected to go on sale in India in last week of December 2018. Vivo has yet to announce the pricing and exact date of availability. We will update the price as soon as it is announced.